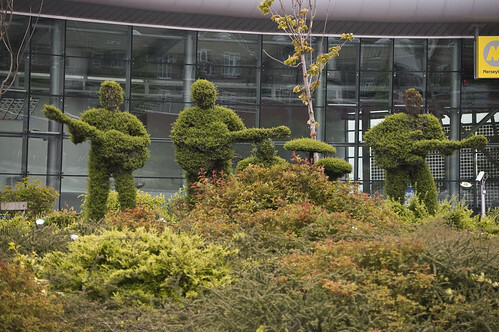 In order to honour the most notable Liverpudlians, the city of Liverpool has life-sized topiary figures of the Beatles in front of Liverpool's South Parkway Railway Station. 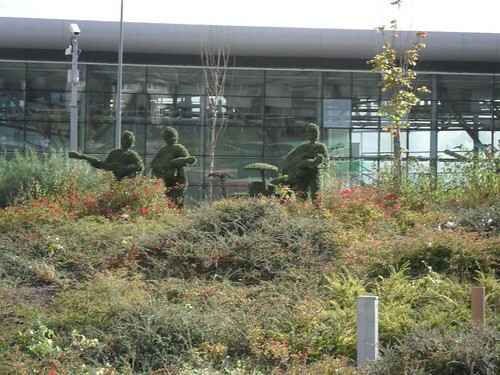 The topiaries of John Lennon, Paul McCartney, George Harrison and Ringo Starr were unveiled at Liverpool's South Parkway train station in March 2008 as part of a tribute to the Fab Four. The artwork was funded by Merseyside Passenger Transport Executive and basic design was created by artists in Tuscany. 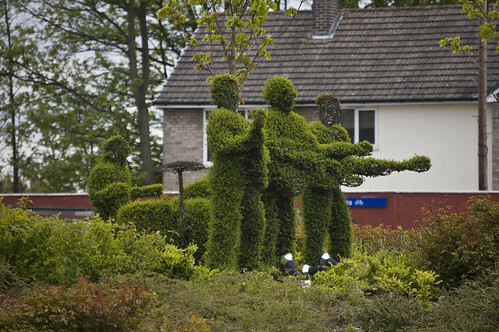 It took 18 months to cultivate the figures at a nursery in Wirral in Merseyside. Unfortunately soon after its unveiling, the head of Ringo's figure was chopped off, by vandals who vent their anger reportedly on his comments saying that he "missed nothing" about the city. Ringo's figure was later removed for repair and re-growth of the head and as per the the latest images by neill.shenton (May 2010) in Flickr, he is back again drumming away at his drum. View location in Google Earth / Google Maps and Street View (GE imagery being old, the figures are not visible in Google Earth. 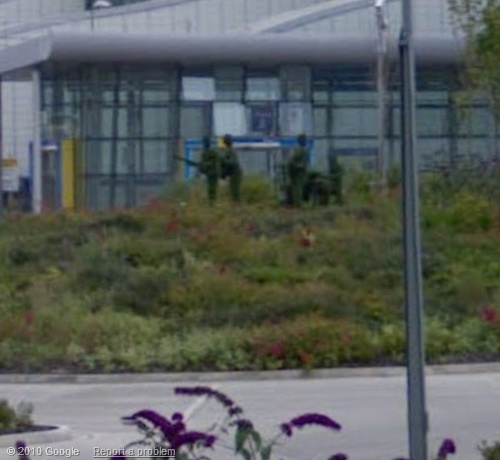 However Fab Four, can be seen in Google Street View as shown above).